Numerous corporate offices are within 1 mile of this modern Radisson, which is less than 5 miles from the airport via complimentary shuttle; downtown Colorado Springs is 7 miles away. 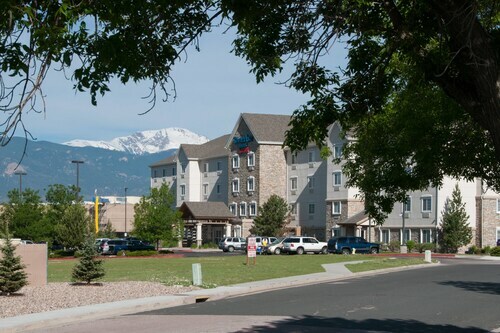 Situated in Colorado Springs, this hotel is within 9 mi (15 km) of Memorial Park, United States Olympic Complex, and Colorado College. Seven Falls and Colorado Springs Fine Arts Center are also within 12 mi (20 km). 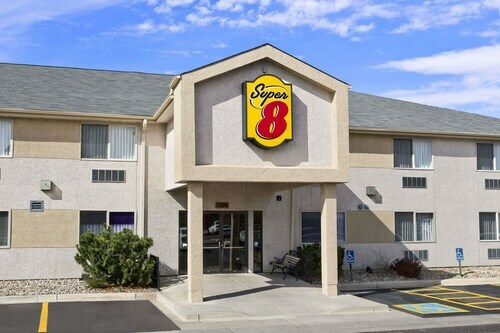 Situated in Colorado Springs, this hotel is 2.5 mi (4 km) from National Museum of WWII Aviation and within 6 mi (10 km) of Peterson Air Force Base and Peterson Air and Space Museum. World Golf and Sand Creek Golf Course and The Citadel Mall are also within 6 mi (10 km). Situated near the airport, this hotel is 2.3 mi (3.7 km) from National Museum of WWII Aviation and within 6 mi (10 km) of Peterson Air Force Base and Peterson Air and Space Museum. The Citadel Mall and Williams Fire Museum are also within 6 mi (10 km). Situated near the airport, this motel is 1.7 mi (2.8 km) from National Museum of WWII Aviation and within 6 mi (10 km) of Peterson Air Force Base and The Citadel Mall. Peterson Air and Space Museum and Williams Fire Museum are also within 6 mi (10 km). 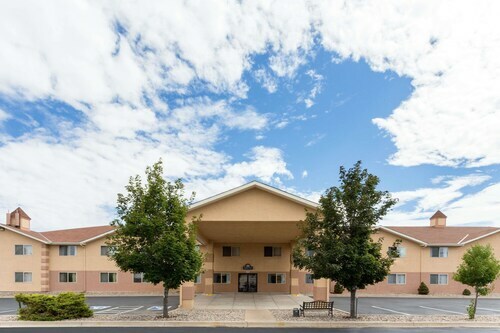 Situated in Colorado Springs, this hotel is 1.2 mi (1.9 km) from National Museum of WWII Aviation and within 6 mi (10 km) of Peterson Air Force Base and Peterson Air and Space Museum. World Golf and Sand Creek Golf Course and The Citadel Mall are also within 6 mi (10 km). 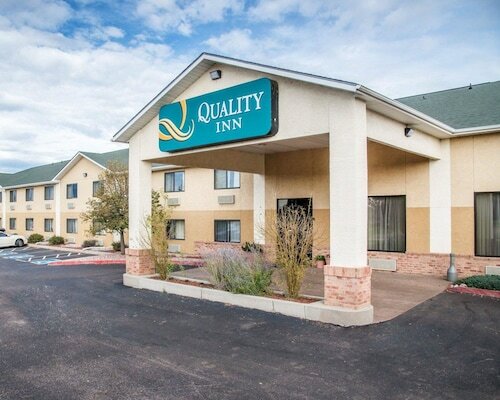 Located in the heart of Colorado Springs, this hotel is 1.7 mi (2.7 km) from National Museum of WWII Aviation and within 6 mi (10 km) of Peterson Air Force Base and The Citadel Mall. Williams Fire Museum and Peterson Air and Space Museum are also within 6 mi (10 km). 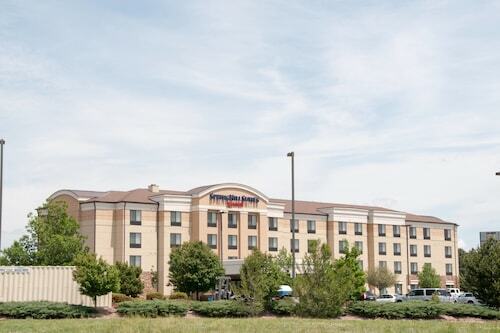 Situated near the airport, this hotel is 2.3 mi (3.7 km) from National Museum of WWII Aviation and within 6 mi (10 km) of Peterson Air Force Base and The Citadel Mall. Peterson Air and Space Museum and Williams Fire Museum are also within 6 mi (10 km). Question : How much is a plane ticket to Colorado Springs (COS) from Toronto (YYZ)? Answer : Cost can range from $448 to $927, prices for YYZ to COS fluctuate less than the majority of routes from Canada. Prices tend to be better the further out you book. Answer : You sure can and you may save by doing it. The lowest-cost day to fly in May is Friday. Having flexibility in your travel plans means you can save more, so be sure to plan ahead when possible. Question : How long do most people stay in Colorado Springs on average? Answer : The cheapest day to fly from Toronto to Colorado Springs is on Friday. If you are trying to save a little money on your next getaway look for flights on Friday. Question : What is the cheapest airline flying from Toronto to Colorado Springs? Answer : United Airlines is your best travel expert for finding that sought-after low fare. They're offering fares as low as $448, while prices for similar flights can cost as much as $927.